Agents, we want to discover Busan, South Korea on Saturday June 24, 2017. In collaboration with the city of Busan we will provide you high quality missions to explore the city on foot together. Sign up to receive more information soon. You can share your photos here. 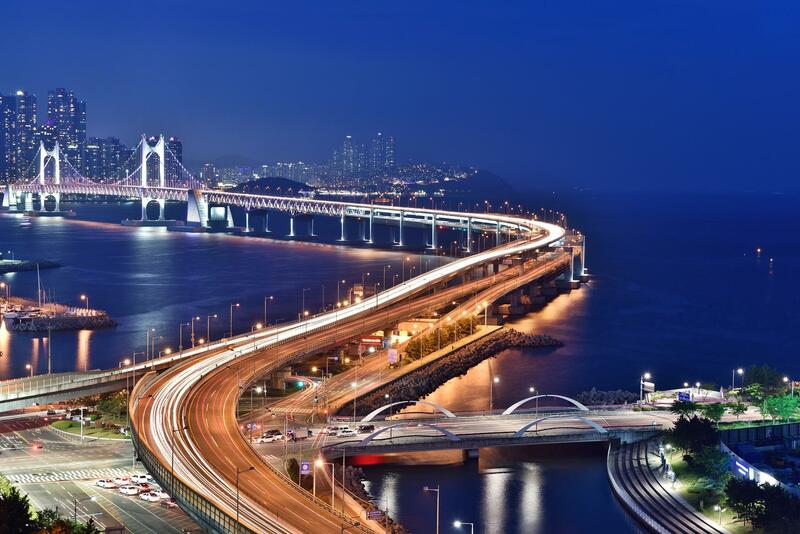 * 17:00~23:00 night walk in Busan (부산야행) - official event of Busan City. 미션을 하러 다니시는 동안 KL이라고 적힌 종이와 UE라고 적힌 종이를 발견하셔서 애프터파티에 참석하시면 Klue 카드로 교환해드립니다. 종이들이 숨겨진 장소는 24일 아침 9시경, Ingress 한국어 텔레그램 채널(https://t.me/IngressKorean )에서 힌트를 드릴 것입니다. 1명당 한 장만 교환 가능합니다. 교환을 위해서는 KL, UE 두 장 모두 가지고 오셔야만 합니다. There is a treasure hunt event. During your mission, you will find a paper marked KL and a paper marked UE and will be replaced with a Klue card when you attend the after-party. 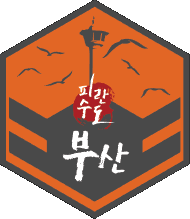 The place where the papers are hidden will be hinted at the Ingress Korean Telgram Channel (https://t.me/IngressKorean) around 9:00 am on the 24th. Only one sheet can be exchanged per person. You must bring both KL and UE for the exchange. 만약 자신의 바이오카드를 가지고 오셨다면, 등록처에서 미션 완료 확인을 위해 체크아웃을 하실 때, 테이블에 놓인 바이오카드 수집 상자에 자신의 바이오카드를 넣어주세요. 애프터파티 때 저희는 이분들을 대상으로 추첨을 할 것입니다. If you bring your own BioCard, when you check out the registration to confirm your mission, please put your BioCard in the BioCard collection box on the table. In the after-party, we will draw a lottery for these people. 다음과 같이 무료 숙소 이벤트를 실시하오니 많은 관심 부탁드립니다. Busan Metropolitan City will perform the Free Accommodation Event to provide more benefits to Busan Mission Day attendees participating in the Refuge Capital Busan Night Trip, please pay lot of attention to it. Busan city prepared this Ingress Coin as free for Mission Day participants who have performed at least 6 Mission Day missions! Busan city prepared this Ingress T-shirt as free for Mission Day participants! Busan city prepared this Serial number chain as free for Mission Day participants! Payment of limited edition biocard with the same design as the mission performed. If you finish only 6 missions to get Mission Day medal, you will get 6 biocards. If you want to get all the 18 kinds of biocards, you must finish 18 missions. 롯데리아가 부산 미션 데이에 현장 참여하는 요원들을 위해 특별한 한정판 바이오카드를 만들었습니다!! 6개 이상의 미션데이용 미션을 완료하신 후 등록처로 체크아웃을 하러 오시면받으실 수 있습니다. Lotteria created a Special Limited Edition Biocard for agents participating in Busan Mission Day!! 한국의 세븐일레븐 이 부산 미션 데이에 현장 참여하는 요원들을 위해 특별한 한정판 바이오카드 를 만들었습니다!! not the end about gifts!! Not the end about gifts yet.